Maria Hogue passed away in the early morning hours on Dec. 10, 2017. She was born Dec. 2, 1922, in Scottsbluff, Nebraska, to Conrad and Anna Marie Eisenach. She married Ross H. Rogers Oct. 1, 1946. They were divorced May 3, 1948. She married Eugene Archie Hogue Feb. 14, 1957. They moved from Laramie, Wyoming, to Kansas City, Kansas, and lived there over 51 years. In 2010, she moved to Ivins, Utah, to live with her daughter, Teresa. Maria grew up on a farm. She was a telegrapher for the Union Pacific Railroad after graduating high school. After her children were raised, she worked for the IRS for 13 years as a tax examiner. She was a lifelong member of Prince of Peace Lutheran Church. She was passionate about her weight, exercising daily with Jack LaLanne for years. She took up walking and walked most hours of the day and some at night until the age of 92. 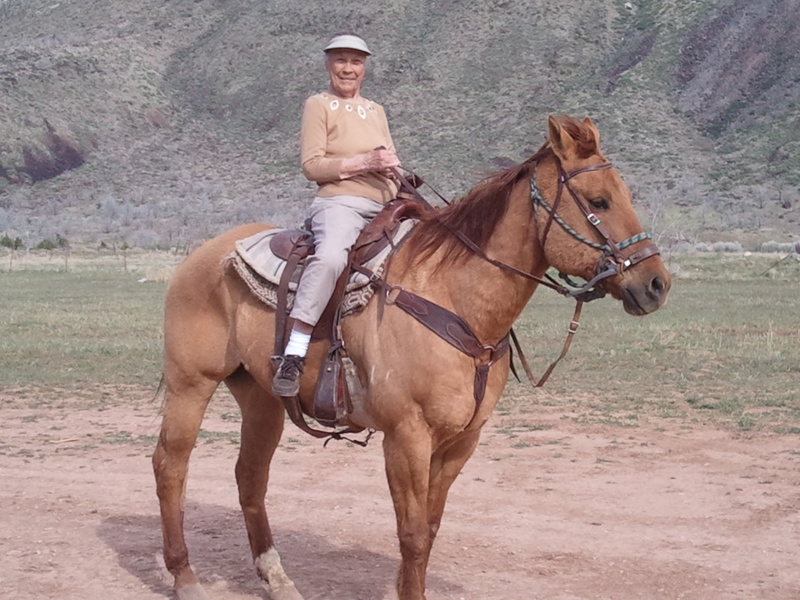 Her grandson, Wes, had her horseback riding at the age of 89, and she was shooting baskets at 93. 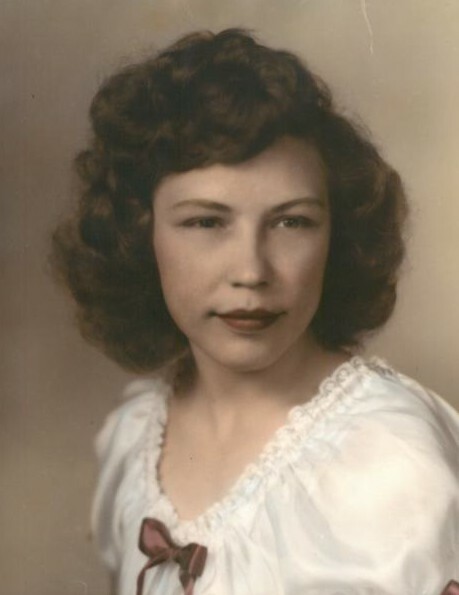 Her biggest interests were gardening, music (she was quite a dancer when she was young), clipping coupons, searching recipes, puzzles of all kinds and her coffee. Marie was an avid reader until her eyesight failed. She was a saver, a self-admitted hoarder; she had a sarcastic wit and wasn’t afraid to say what she thought about anything, anywhere, anytime. She is survived by daughter Teresa Rogers Payton, of Ivins, son James Arthur Hogue, of Colorado, six grandchildren and 10 great-grandchildren. She was preceded in death by her parents, husband, daughters Vicki Jo Patrick and Betty Jeanne Guilfoil, sisters Dorothy, Frieda Klein, Lydia McMillan, and brothers Edward, Harold, Reinhold and Reuben, and grandsons James Wesley Payton and Aaron Payton. Many thanks to the staff of Brookdale at Southgate for the kind care they provided. Cremation provided by Hughes Mortuary. A private memorial will be held.